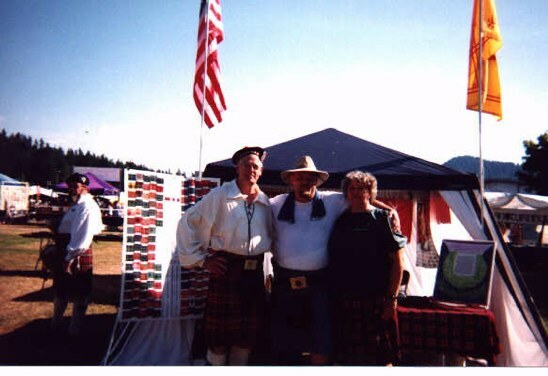 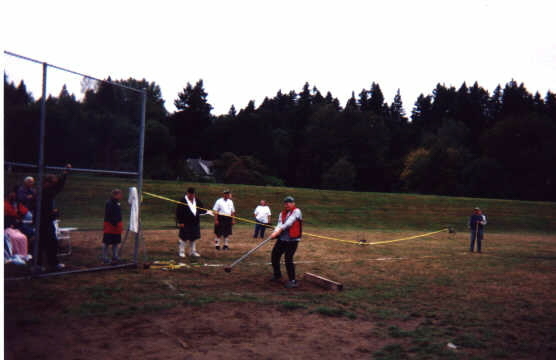 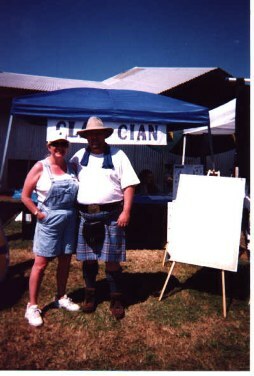 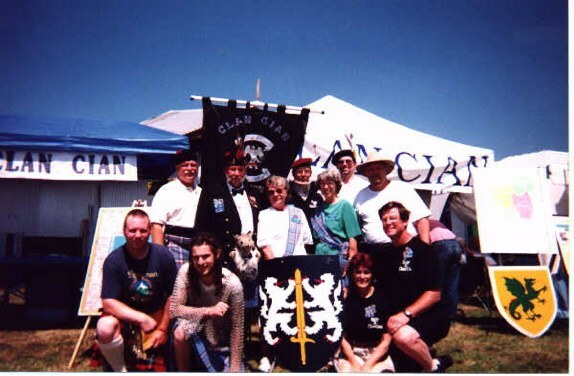 All pictures are of the 2000 Enumclaw ,Wa highland games. 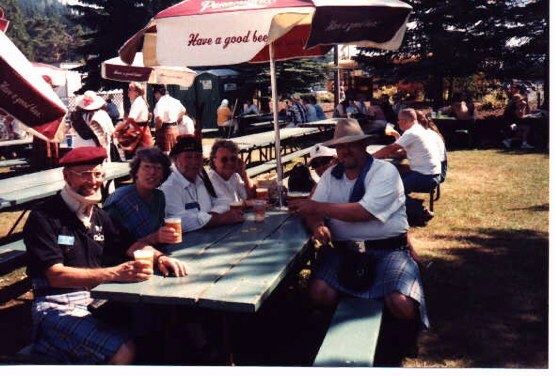 First Row Dave Patterson, Unk, Russ and Bonnie. 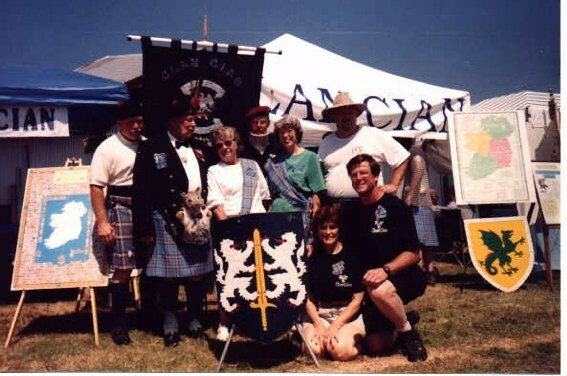 Fran leading the Clan onto the parade field, The Scots have Pipes we have harps. 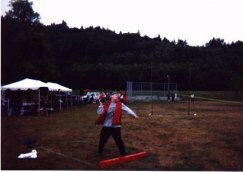 Kelso Games, Sept 10, John Navin throwing the heavy hammer. 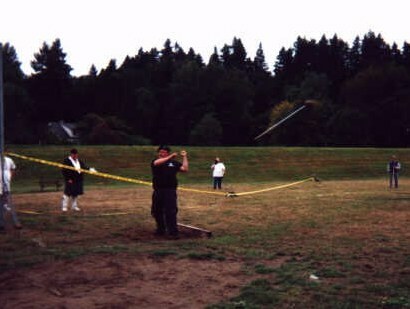 Michelle Tierney with the heavy hammer she won 2nd place in this event. 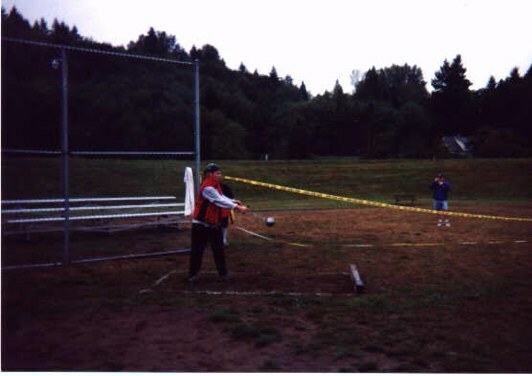 Michelle Tierney at the stone throw, 3rd place. 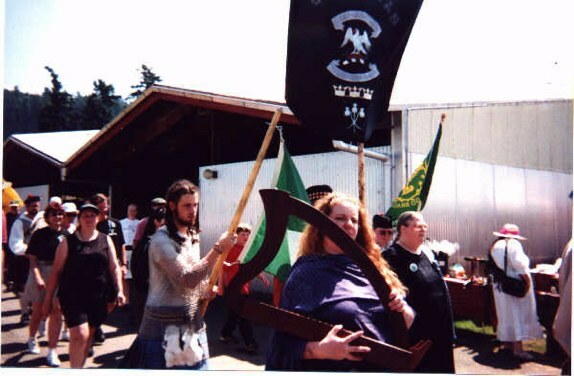 From right to left Michelle Tierney and Jen Tucker. 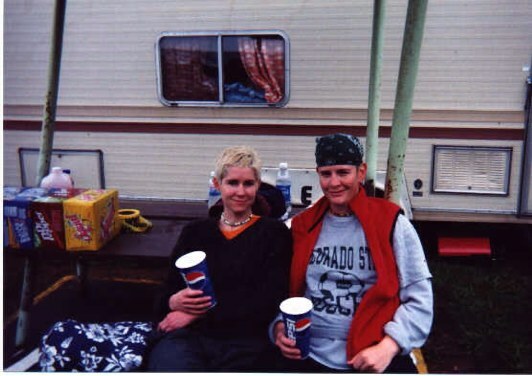 Our Question is Is there Really Pepsi in that cup?